It’s been a great first day of “summer” break. I slept in, ran some errands, had lunch with the hubby, and when I got home I tried to fight the urge to bake…and I failed. These cookies turned out amazing! They are so so moist and chocolatey and well, they hit the spot. Unfortunately they were soo good that I’ve already eaten three…and they’ve only been out of oven for 30 minutes. Epic. Fail. Hopefully I can pawn them off on friends before I eat them all! Side note: You know who’s not having a good day?? Diesel. 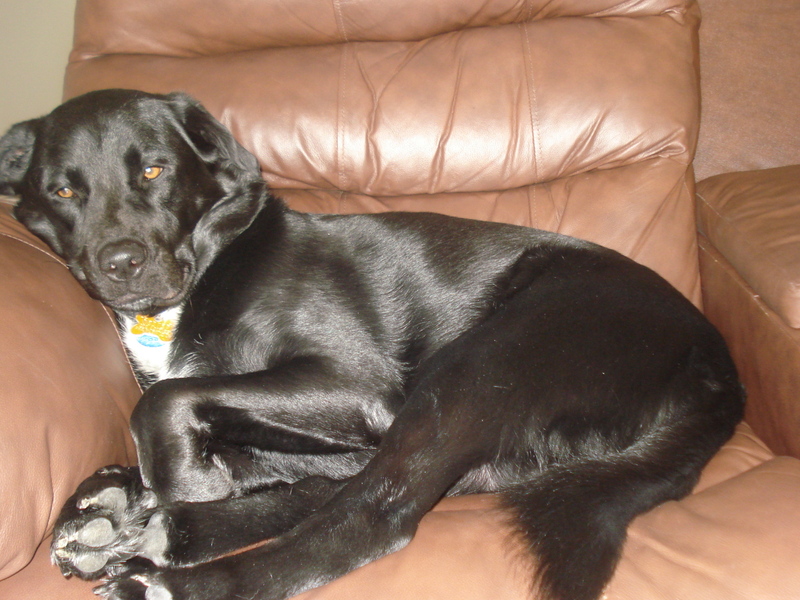 Poor puppy has an ear infection and a hurt paw…he looks so sad and helpless. He’s on pain killers, ear drops, and antibiotics!! Poor pumpkin. His favorite treats are ice cubes (weird right? ), so he’s been getting extra ice cubes and lots of love today…. hopefully he feels better soon! Anyways, back to the cookies. Here’s the recipe, enjoy! Preheat oven to 350 degrees F (175 degrees C). Grease cookie sheets. Stir together the flour, cocoa, baking powder, baking soda, salt and cinnamon; set aside. In a large bowl, cream together the margarine, brown sugar and white sugar. Beat in the egg and vanilla. Stir in the dry ingredients using a wooden spoon. 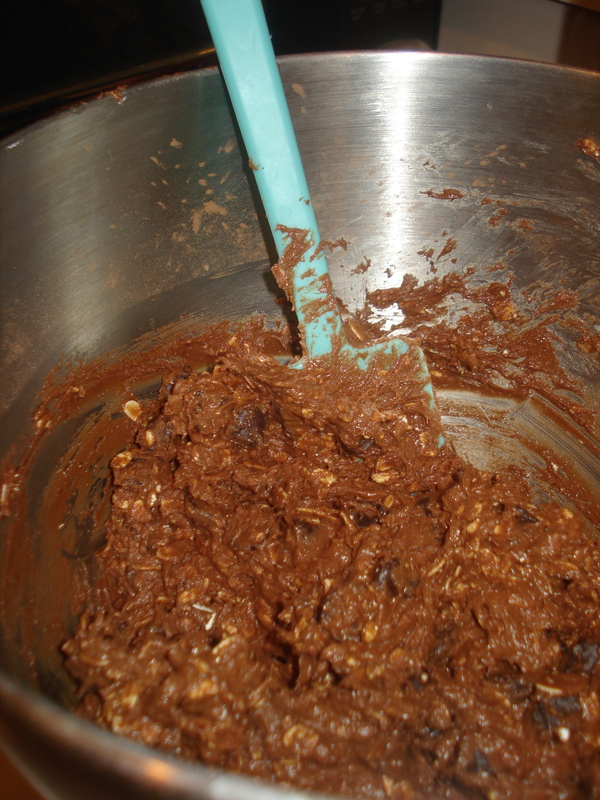 Mix in the oats and chocolate chips. 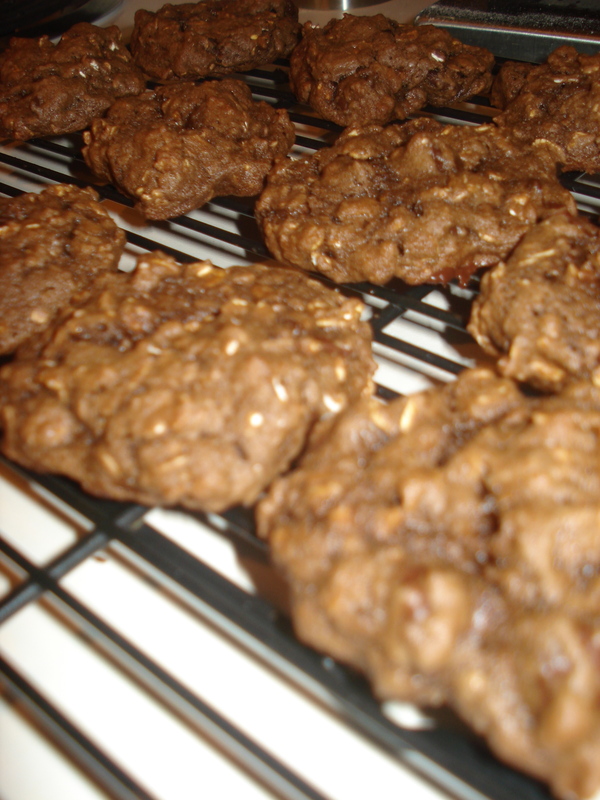 Drop by tablespoonfuls onto cookie sheets, leaving 2 inches between cookies. I am absolutely making these tomorrow.